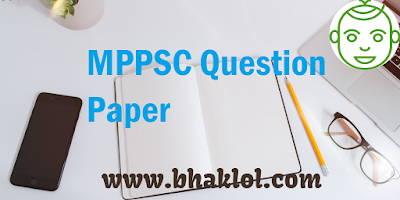 Dear Students, we are sharing previous year question papers / Old Question Papers of MPPSC ( Madhya Pradesh Public Service Commission) Examination. It will help you a lot in preparation of MPPSC 2018. We are sharing last three years question papers of MPPSC, both Preliminary Examination and Mains Examination. After doing these question papers you will get actually what kind of questions are coming in the examination.